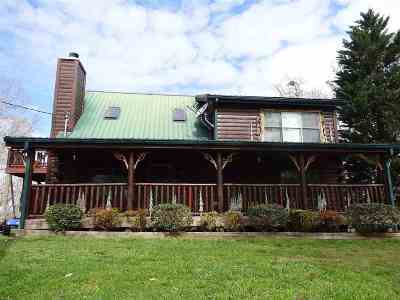 Beautiful lake front long cabin located in a quite lakefront subdivision. Year-round water view just off the main channel of Douglas lake. Very convenient to I-40, Smoky Mtns, and all the area amenities. It has a game room in the loft area, a large kitchen, a wood burning fire place, walk out deck, screened in porch with hot tub and grill. All the bedrooms and bonus room have bathrooms. Bonus room also has a window and closet. Basement has a floor but is unfinished. Investors this cabin has a great rental history. Lots of extras too!